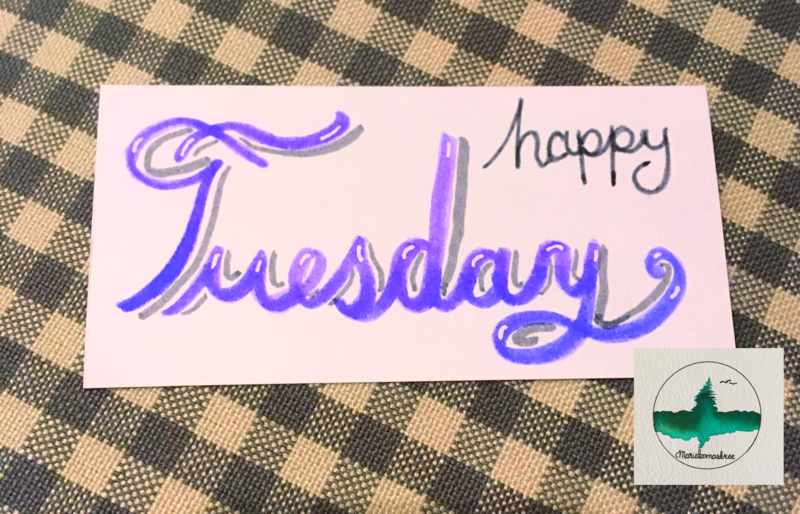 Lettering created using 2 shades of purple, Tombow dual brush pens, blended together. Shading & ‘happy’ created using light grey Tombow dual brush pen. Highlights created using a Uniball White ballpoint pen.